I’m going to try my best to not spoil this movie as it is well worth experiencing. I was fortunate enough to be able to attend one Sentai Filmwork’s limited screenings of No Game No Life -Zero-. I’ll start off by saying that No Game No Life is one of my favorite anime series ever. The memorable characters, incredible art, clever writing and great music make for a hell of an experience and one that is highly recommended. 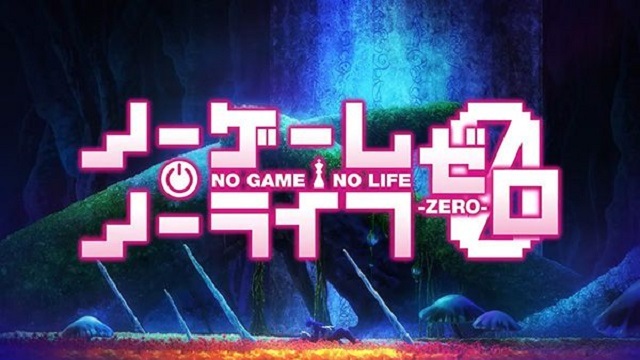 I am pleased to report that No Game No Life -Zero- is a real treat for fans of the series that provides some great backstory to the setting and characters seen in No Game No Life. No Game No Life -Zero- tells the tale of how Disboard came to be the colorful place that it currently is. We are taken back 6000 years in the past while the “Eternal Great War” is going on between the many races that inhabit this world. Games, while still present, are not the focus and the main way of dealing with problems. In fact, they are largely seen as a waste of time in this society. Our protagonist Riku led the humans during this time of crisis as humanity is on the brink of extinction. The situation was so bad that the humans have accepted that they must sacrifice each other in order for the rest of them to survive another day. Riku became sick of this and sought to find another way for the war to end and for his people to continue to survive and live among the other races. While exploring an abandoned elf forest, he encountered a small robot whom he names Shuvi. This little machine is an ex machina who was excommunicated from her central unit due to logic failures in her system. Shuvi accompanied Riku due to her desire to learn what having a “heart” means both in a physical and metaphorical sense. Right off the bat, we can see parallels between these two and Sora and Shiro from the original series. It also doesn’t help Sora and Shiro’s voice actors ended up playing Riku and Shuvi respectively. That said, the relationship and personality between the two characters is a bit different. Seeing Riku and Shuvi’s relationship grow and develop was one of the strongest elements of the film and led to some truly heartwarming, and also heartbreaking, moments. What is also interesting about the film is how Disbroad is portrayed. 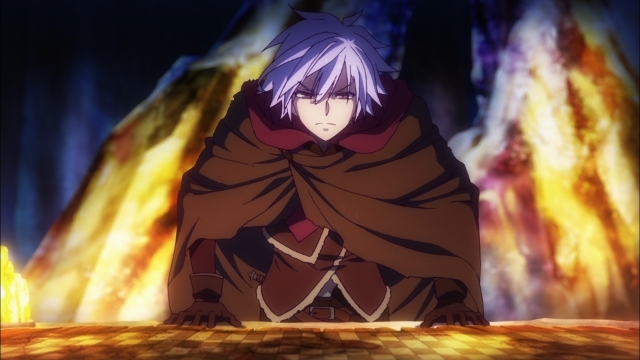 Without the ten commandments of the original No Game No Life, Disbroad was basically a borderline post-apocalyptic society. Everyone was on edge, struggling to survive and trying to calculate their next move almost like a giant game of chess. The irony of this was that games were not yet established as a means of solving conflicts. In fact, this version of Disbroad was very indifferent towards them and largely saw games as a waste of time. Riku felt this way as well, but still had a weird fascination with games. As he opened up to Shuvi he would play chess with her more and more, despite how often he would lose. This perseverance in an otherwise hopeless situation is precisely the kind of trait that would help further Riku and Shuvi’s relationship with each other. 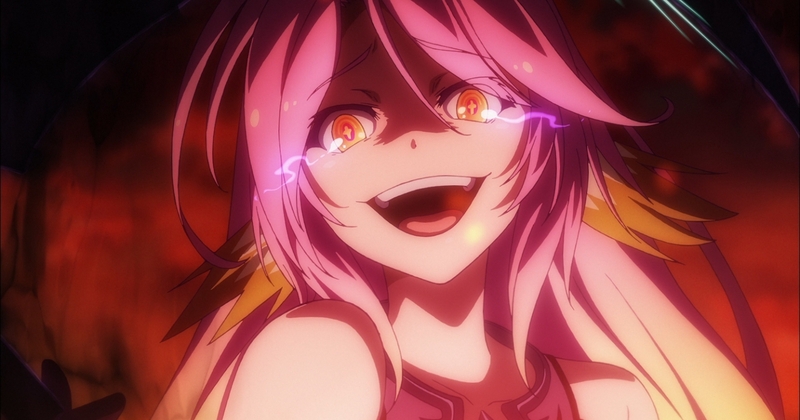 Speaking of character development, No Game No Life -Zero- showed us a far more ruthless, even sadistic side of Jibril. While it was mentioned in the TV series that she was very violent and aggressive in the past, actually seeing it was genuinely disturbing. 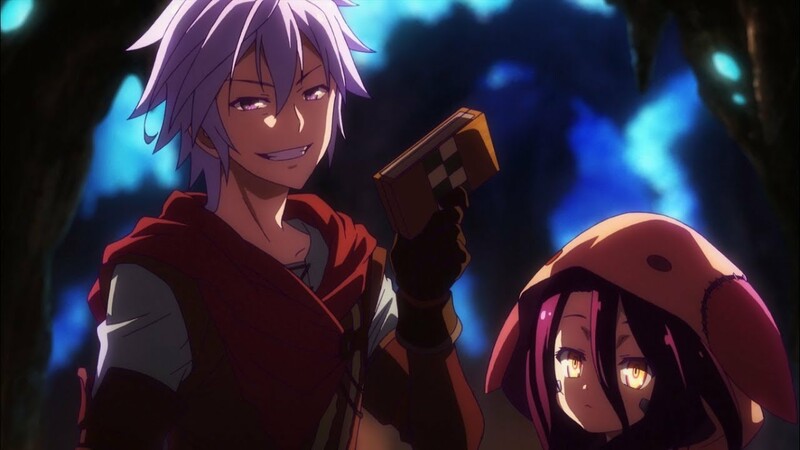 In comparison to No Game No Life, there were significantly less “fanservicey” moments in the movie, but there is still plenty of humor to be found here, such as Riku’s reactions about being “a virgin forever” or his friend Corone constantly making jokes about him and Shuvi dating. Scenes like these were definitely a nice change of pace in what was otherwise a pretty intense film. Despite the bleak story and setting, No Game No Life -Zero- had some truly breathtaking visuals. It all came to life to create a story that not only was engaging but was a real treat visually. The music also complimented the scenes really well and contributed to the atmosphere. 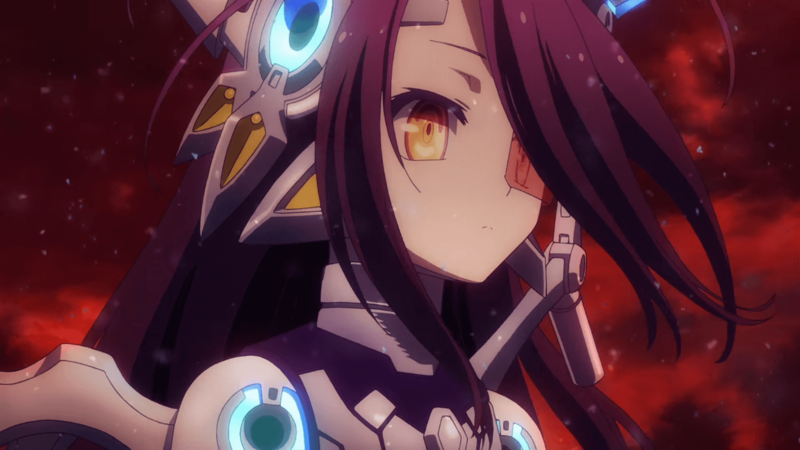 Overall, No Game No Life -Zero- was a very good way to expand on the lore of the anime TV series. It’s a fairly lengthy film at around 1 hour 50 minutes, but it’s all very interesting and no parts felt like they dragged too long. If there is a flaw with the way the story is told, it’s that unfortunately we do not see a whole lot of the ex machinas or Shuvi’s unit. It gets mentioned a couple of times but it would have been nice to see more about their history and learn more details surrounding Shuvi’s excommunication. Otherwise, this story was told about as well as they could have given the runtime. If you are a fan of No Game No Life, this is definitely worth watching. If you have not seen it yet, you can probably jump into it here as well since it’s a prequel, but some of the experience will naturally be lost on you.